As the Halloween night approaches, the zombies are getting more uncooperative and arrogant, and they are invading the Eat My Dust combat zone in large packs rapidly. We need experienced driver and zombies dusters to hold off the zombies attack until Halloween night is over and a short temporary peace is awarded. Do you think you have what it takes to protect your base and bring glory to your team? 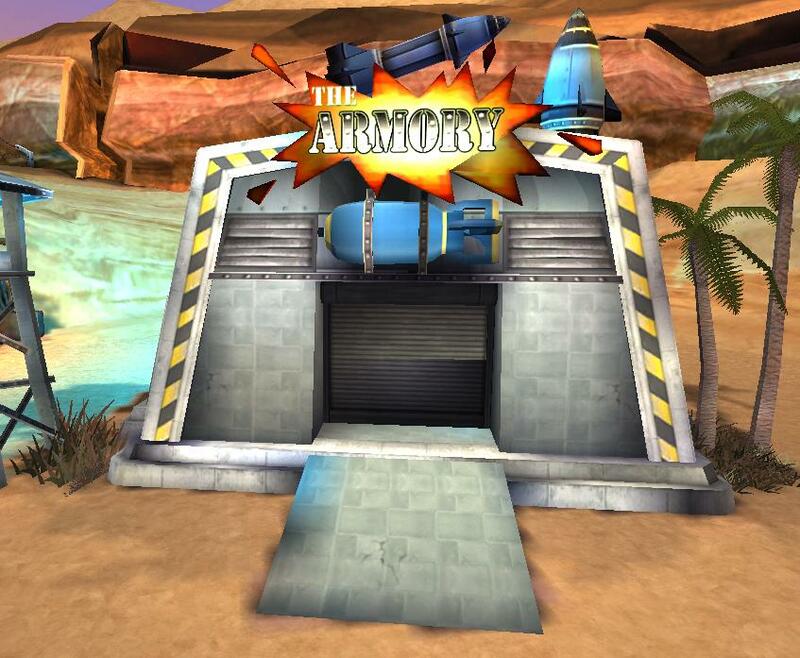 Be sure to read through last week’s post on the Armory essentials and pick up a few items so you are prepped with the deadliest weapons and defense gears to help you destroy zombies with much more power and speed. Killing zombies at the gates in the combat zone is all about strategies and skills. Move your vehicle around so the zombies cannot gang up and surround your vehicle. Also, stock up on weapon ammos so you won’t run out of it when you are in a battle with the zombies. Your team and the entire Eat My Dust world depend on you to scare off the zombies on Haloween. Are you ready for some challenge for this upcoming Halloween? Prepare for Zombie Attack on Halloween! The undead can become very strong on Halloween night and our usual defenses in Eat My Dust may not be enough to withhold our barriers. 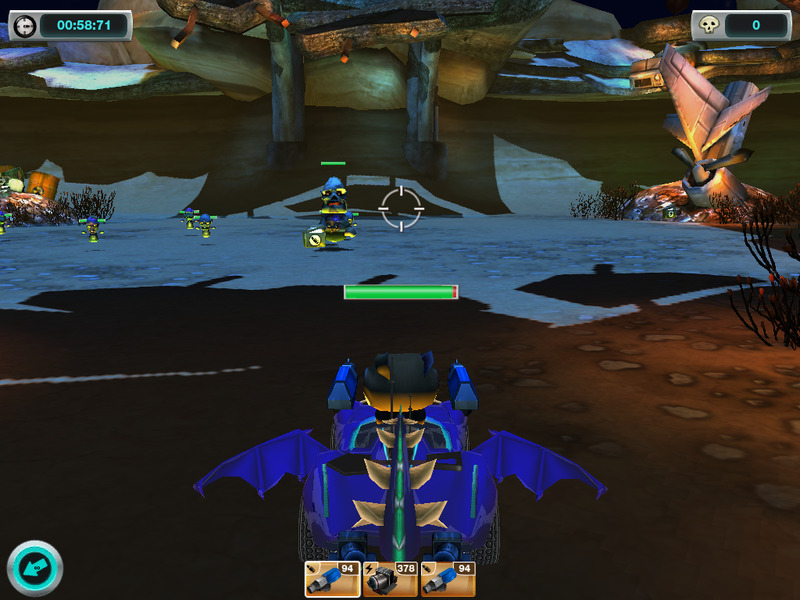 Help protect your team’s base by arming your racing machine with the most powerful weapons! Check out the Halloween selection of armories to help you dust as many zombies as you can on this frightfully fun night! Equip your vehicle with some of the deadliest front weapons, such as the Tier 1 Flame Thrower and the Tier 3 Lightning Gun. 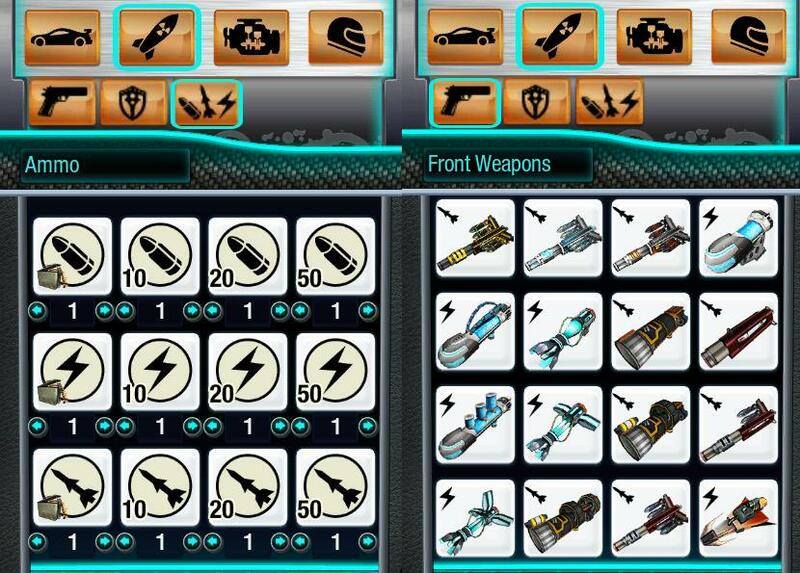 Be sure to purchase the correct ammo, which is separated into bullets, energy ammos and missiles, and match it with your weapons. Also, get a rear weapon to boost your damaging index and destroy more zombies during a combat. The zombies may attack any minute on Halloween night. 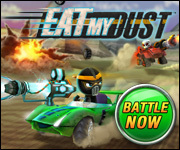 Head over to the Armory located in the Combat Zone to load up your weapons with the appropriate ammos, today, and have a hauntingly exciting time in Eat My Dust! Halloween has finally arrived with all of its frightening festivities! With all the hype that has revved up around the holiday, there are so many ways to celebrate. Don your cool costume and collect enough candy to last for weeks. Get together with friends to play fun Halloween-themed games, carve pumpkins, or watch scary movies. What are you dressing up as for Halloween? Do your family and friends have any favorite traditions or activities for the holiday? We want to know how you are celebrating tonight! Let us know by leaving a comment about your Halloween fun.